False information is circulating on social media. 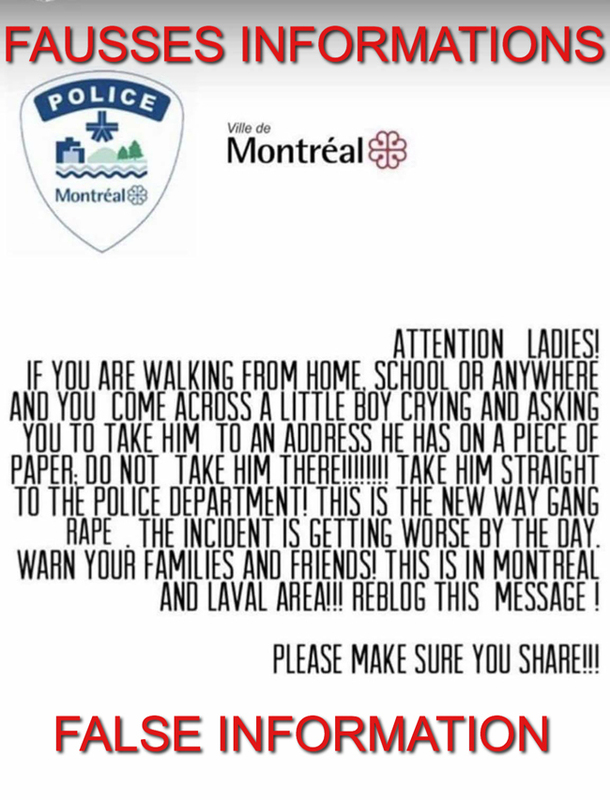 This post that surfaced claims that the SPVM issued a warning regarding a scheme used to commit sexual assault. This message is FALSE. No cases of this nature have been reported in Montreal. Be cautious and verify the source of the information before sharing it with your contacts.